You wake up for the day with grand expectations of productivity. You didn’t write down a to-do list exactly – but you have all kinds of ideas in your head about what needs to get done. Today is going to be an awesome day for checking things off “the list” you tell yourself as you start to get ready and get your kids ready. What comes next? Life happens. Your toddler refuses to put on pants. This turns into a 10-minute battle that leaves all of you running late. You get everyone to their respective drop-offs. Just as you are heading to where you need to be – work or home – you get a call from school. Your older child forgot their outside clothes that they need for recess. You have to change your plans and make an extra trip to bring those to them. What really happened here? Before it even got started, your day was derailed. By the time you try to figure out what was on your to-do list, you are likely too distracted to remember or care. Or I should say, by the time I try to get back to the to-do list, I no longer remember or care what was on it. Did you think this story was about you? It’s actually about me. It may also be about you. I suspect it’s about Moms all over the place. This is our life. We don’t really know what each new day will bring. The good news is – there’s one key thing you can do to ensure a productive day…or at least make it way more likely…no matter what happens. Plan ahead the night before. I find it to be true in my life. If there’s one secret I have to being productive, to accomplishing what I want to accomplish and to being efficient with my time, it’s to plan ahead. On days where I don’t have a plan for the day, I am easily sidetracked. I have to think and prioritize in the moment about each piece of my day. Not only does that take extra time, but it’s harder to have perspective on the day of. I’m more easily swayed by how I feel. 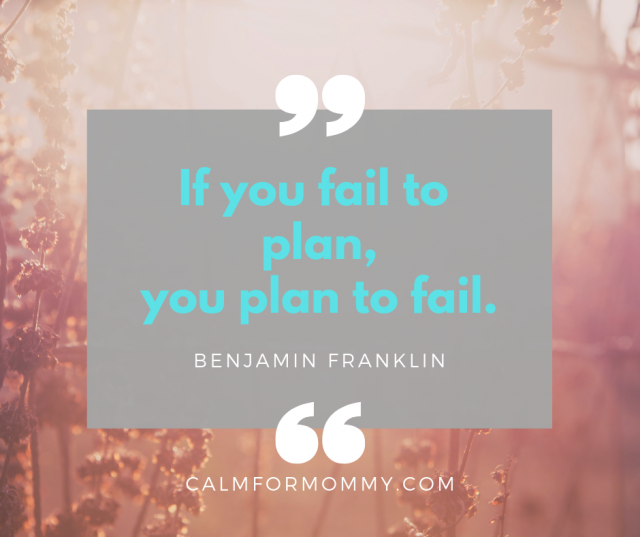 It’s also hard to focus on planning your day with kids underfoot, which is likely going to be the case when you plan on the same day. On the other hand, when I plan my day the night before, I can hit the ground running on the next day. I know what I need to accomplish and when I need to accomplish those things. My priorities have been set. I can just follow my plan and dive into getting things done. It makes it much more likely that I’ll do the things I should be doing. If something happens that I don’t expect, I can deal with it and then get back to my written plan. It’s a guide map for my day. 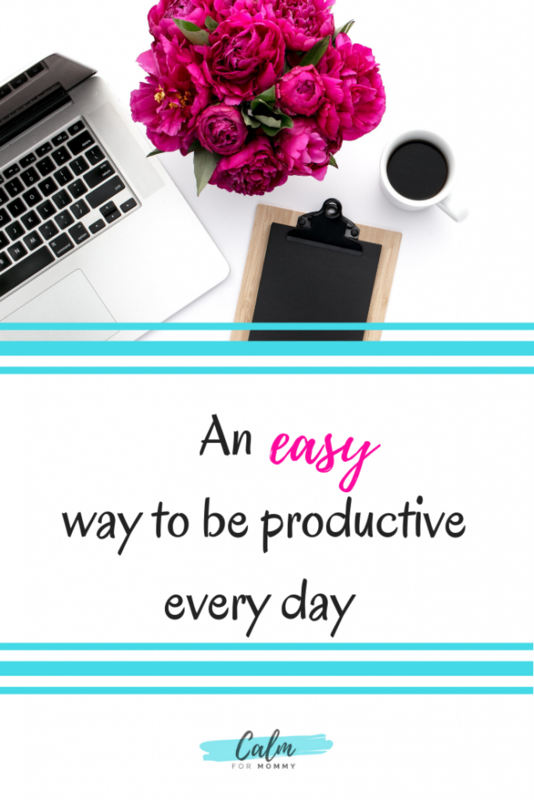 So, let’s talk about a fast and easy way to plan the day for great productivity. Sit down in the evening to plan out the following day. You can do this with a planner or with a blank piece of paper. Write down any appointments you have. Write down the top 1-3 key priorities you have for the morning. Then write down the top 1-3 key priorities you have for the afternoon. Also do this for the evening. Optional: list your main activities for each time of day. Let’s look at a few different examples of how this would work and why certain tasks are scheduled at certain times. Even if a scenario doesn’t exactly apply to you, I’d encourage you to read it as there are tips in each that can be applied to all of the situations. In this example, we schedule the priorities based on what is realistic for the time of day. So, in the morning, with the kids around, the tasks need to be quick and not require a lot of concentration. I don’t know about you but I have a hard time writing a coherent sentence when a child is singing “baby shark”. For many of us with kids at home, the afternoon consists of nap time or quiet time. Quiet time is an amazing invention where your child stays in their room for as long as they would nap, but they get to play instead. It is a total win/win once your little guy or gal is too old to nap. With nap or quiet time, you should have a little more ability to focus and get done things that take a bit longer or require some concentration. In the evening, there’s a lot going on. Making dinner, cleaning up from dinner, perhaps bathtime, the kids bedtime routine, and you will also probably want to relax. You deserve it by the way! So, with all that, fewer things are listed for evening priorities. In this way, the day is scheduled to maximize getting a few important things done. Each task is placed in the part of the day that makes the most sense. This will allow you to make daily progress on the things you feel are important, in a way that makes sense. In this example, we’ve put the tasks that require the most concentration in the morning. 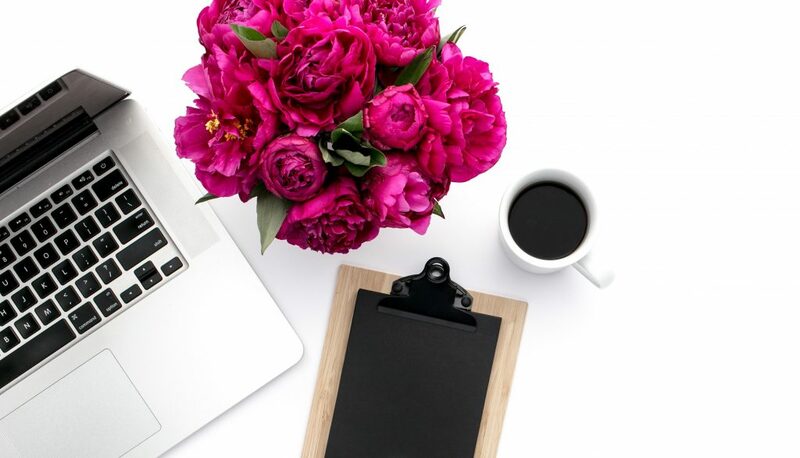 Most people have their strongest focus in the morning and that is when they can get their best work done. In the afternoon, your body may begin to feel more tired and your day may start to feel long. That’s a great time for activities that require less focus, like reading and responding to e-mails. Then if you’ve spent part of your workday driving the kids to and from school and taking care of the kids before and after school, you may need to add a little work time in the evening. For most people, this is the hardest time of day to really focus and be productive. Because of that, we have scheduled e-mails once again as an evening task. Other great tasks for the evening including watching training that you can passively consume or working on projects that are lower priority and therefore can be refined later at times of day when you are feeling sharp and ‘on it’. If you find you need more productive work time in the evening, you could talk to your partner about them doing bedtime on certain nights of the week. Or the two of you could trade off on who does bedtime each night, and then each of you would get some extra time to relax or be productive. You deserve some time to relax! There are aspects of this scenario that are definitely trickier than the others because you have less time to be at home. Squeezing in a little housework when you have little slivers of time will be more important so that you can keep things moving at home. For example, fitting in a load of laundry each day (or most days) will help you have lots more free time on the weekends. The key word in this scenario is momentum. Keep your momentum going. What does that mean? As desperately as you may want to collapse on the couch, don’t do that UNTIL AFTER you’ve finished your list. Once you give in to the couch, (or resting in a child’s bed at their bedtime), the battle is lost and you may just be out for the night. If you get those few key things done first, you’ll be setting yourself up for success tomorrow. Then go and RELAX! You deserve it! Why does this system work well? This systm works well for a number of reasons. You don’t have too many expectations for any one part of the day, so if life throws you a curveball, you’re more likely to still get your main priorities done. Having a to-do list this size is more realistic and therefore do-able. (Rather than making a huge list of everything you could hope to do.) It feels great to accomplish your whole list. That momentum and sense of having been productive will help you to tackle the next day’s items. You’re making awesome progress on your goals and tasks because you are making consistent progress each day. Also, you’re not planning the whole week at once, instead, you’re planning one day at a time, which allows you to better know what truly has to happen that day. Give this a try and see if it makes a difference for you. 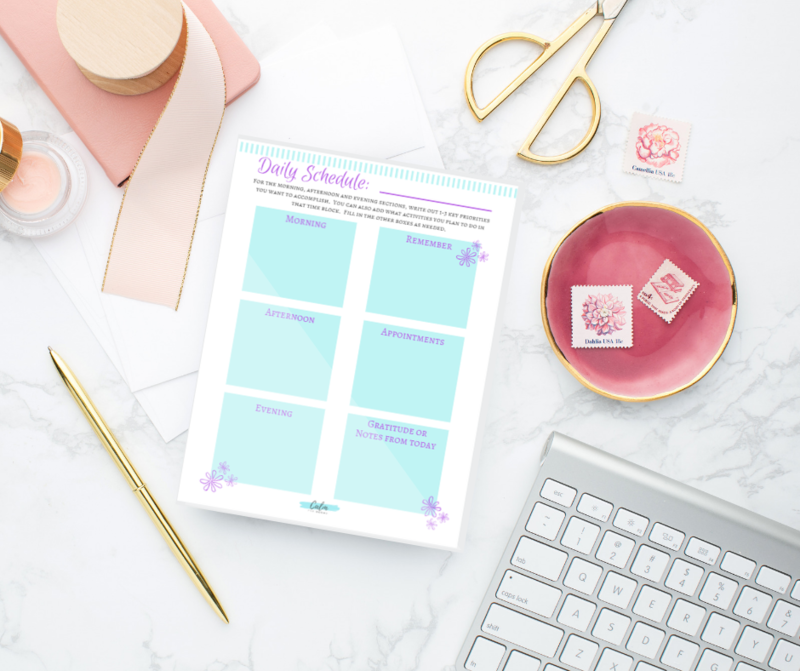 Check out your free daily planner tool to use with this process!